Nov 2 · Last update 3 mo. ago. Little is known about the Ancient Greek Athenian general Thucydides other than information from his own writing in the Greek classic History of the Peloponnesian War. 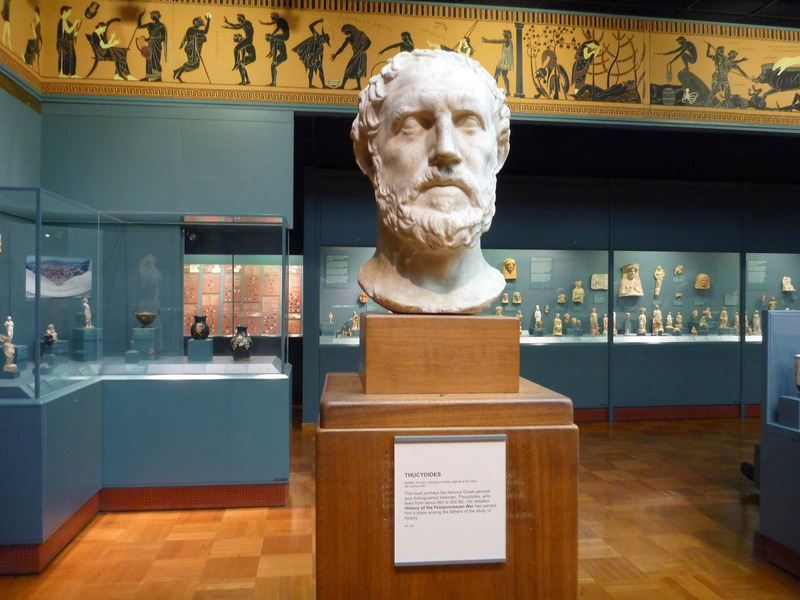 Who was Thucydides and what is his place in history? Writers such as Walter Robert Connor have taken a more modern critical approach to the experiential aspect of Thucydides ‘History of the Peloponnesian War’ and found an alternative from the usual intellectual, detached and critical judgement of Thucydides' writing. Instead Connor finds the work of Thucydides to be full of emotional power, gently persuading the audience and even compares the language used to the literary devices of ancient poets. In this way he describes Thucydides as an artist who selects and develops the symbolic and emotional potential of his material, rather than a cool calculating political historian. Arguably Thucydides went much further than what we have come to expect of historians or political commentators. Although he preceded both, he straddled the line between political historian and philosopher also, showing an in-depth understanding and his own personal theories on human nature. Some of his analysis of evidence even nears the territory of scientific hypothesising as he noticed patterns he attributed to causing plagues; again well ahead of his contemporaries in his approach. Political realism is thought to stem back to antiquity with Thucydides, the History of the Peloponnesian War being not just an accurate account of that war but also a realist portrayal of pre-war dialogue. A section of the work is in the form of paired speeches, delivered to argue opposing sides of the issues of war, this accounts for the only realist portrayal of wartime dialogue of antiquity and the first record of international relations in history. This work was well ahead of its time with similar Realpolitik works not appearing until writers such as Thomas Hobbes’ work 'Leviathan' or Niccolò Machiavelli's work 'The Prince' of the next millennium. Thucydides was a historian and general who’s History of the Peloponnesian War accurately depicted the wars between Athens and Sparta from 431 to 404 BC. Thucydides rejected the traditional form of attributing victories to the actions of deities and instead focussed on evidence and analysis to establish a cause and effect basis for the outcome of battle. His strict attitude of impartiality and thorough evidence gathering were unparalleled at the time, and this has lead to him being remembered as the father of scientific history.